This year marks the 50th anniversary since Malta’s 1967 ratification of the European Convention of Human Rights. One of the judges sitting with 46 others in the European Court of Human Rights is Chief Justice Emeritus Vincent De Gaetano, who ponders what fundamental rights really entail. 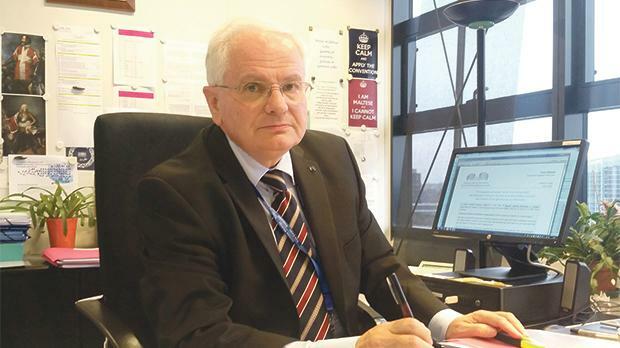 He spoke to Matthew Xuereb at his Strasbourg office. What are your thoughts on the level of awareness of the Maltese about the European Court of Human Rights (ECtHR)? Do you think people are aware of their rights? The court exists to ensure compliance with the European Convention on Human Rights, so the focus should be the convention. While many, if not most, lawyers are fully conversant with the convention, since its substantive provisions are today an integral part of Maltese law, I am not sure whether the public at large is aware of what is meant by fundamental human rights, by the protection provided by the convention and the ECtHR and how to identify incipient signs of human rights problems in our society. It is true, we have a reasonably sophisticated legal system, which is, on the whole, well up to European standards; a Constitution that, with minor amendments, has stood the test of time; in spite of isolated and individual problems, for almost three decades, we have had a fairly robust judiciary, problems of delays notwithstanding; and a section of the media is still independent and able and willing to act as a watchdog on the executive. However it is very easy to become complacent, and to forget the lessons of history. It is also important not to be sidetracked by the promotion of certain rights at the expense of fundamental human rights, such as those of freedom of expression, of conscience or the fundamental right of parents to have their children educated in conformity with their own religious and philosophical convictions. One should always ask whether what is being promoted are genuine fundamental rights or merely parts of a political agenda. What I sense to be lacking, even among lawyers, is an awareness of the concept of the “positive obligation” of the State in relation to the various substantive provisions of the convention and, possibly, also in relation to the human rights provisions in our Constitution. One of the latest cases to be argued, and won, by the applicants on this basis was Brincat and Others v. Malta, decided in July 2014. The issue of court delays is a never-ending saga in Malta. Court delays have led to a number of cases before the ECtHR. In 2007 you spoke about the need for expeditious justice and how people expected justice within a reasonable amount of time. Do you still maintain this opinion? Of course, today even more than before. The theme was taken up again this year by Chief Justice Silvio Camilleri on the occasion of the opening of the judicial year, when he pointed out that the ratio of judges or magistrates to the population in Malta is one of the lowest in the EU. It stands at 9.5 professional judges per 100,000 inhabitants, when the European median is 17.8. Over the years, successive administrations have attempted to solve the problem by trying to flush loads down the line: from judges to magistrates, to commissioners for justice and to adjudicators in the Small Claims Tribunal. Commissioners and adjudicators are not members of the judiciary, and there could potentially be issues of independence. But then if the number of judges and magistrates were increased by a third, to bring us close to the ratio in Cyprus, where would they work? The present court building is inadequate. When I read of cases, particularly criminal cases, being decided at one level of jurisdiction after three or four years, or at two levels of jurisdiction after five or six years, I cannot help seeing the triple red card in light of the case law of the ECtHR on Article 6. Repeated adjournments, as well as long periods of inactivity, for example between the filing of an appeal and the date of first hearing, are also problematic from the point of view of the reasonable time requirement. In 2015, you voted against a case brought by Vincent Lambert’s wife. In that case, the ECtHR voted 12 to five that intravenous support can be stopped. You were one of those five who voted against the termination of life. There are similar manoeuvres in Malta by a group that wants to introduce euthanasia. What’s your stand on the issue? It is only where a state has, independently of the convention, decided to introduce some form of assisted suicide that the ECtHR has had to pronounce itself on procedural issues, usually in light of Article 8, such as the refusal of courts to review decisions by doctors or the lack of clarity of the law. Migration is an issue that often landed Malta in hot water over how it treated migrants in the past. Malta has lost a number of cases before the ECtHR on this subject. Do you feel that Malta has progressed in this regard? Some progress has been made, especially in regard to accommodation. One of the main problems in a number of cases was the lack of a proper mechanism whereby migrants and asylum seekers could challenge the lawfulness of their detention for the purposes of Art. 5(4) of the convention. While we’re on the subject, following Brexit and the election of Donald Trump, there seems to be intent to build walls to keep migrants out of countries, including in Europe. Hungary, for example, has threatened to erect fences, and Malta also threatened pushbacks at one point. What’s your view on the matter? One must distinguish between migrants and asylum seekers. Migrants may leave their country of origin for reasons unrelated to persecution. Asylum seekers or refugees are forced to flee because of a threat of persecution and because they lack protection in their own country. Migration as such, that is, who to allow or otherwise into a country, is essentially a matter within the competence of individual States. Those seeking refuge from persecution, on the other hand, have a right at international law to asylum and to other forms of protection. This right is today even specifically recognised in the Charter of Fundamental Rights of the EU. You can have no walls or pushbacks in respect of asylum seekers, and this irrespective of whether a particular asylum request is ultimately found to be well-founded or otherwise. Moreover, even in the case of migrants, including illegal immigrants, these have in any case and always to be treated in conformity with human dignity and with all the provisions of the convention. Well-settled migrants enjoy even an additional degree of protection according to the case law of the ECtHR. It is unfortunate that some countries are falling into the grip of an inward-looking populism, fuelled by racism and xenophobia, and are beginning to perceive isolationism as something positive. Malta recently introduced a number of amendments in the Criminal Code giving more rights to the suspects of crime. For example, only recently could suspects consult their lawyer for up to one hour prior to their interrogation. Now, suspects can have their lawyers present during their interrogation. Some two weeks ago, the Constitutional Court ruled that people serving life sentences can apply to have their punishment reviewed. Do you think these extra rights are enough? How far off is Malta from being in line with other EU states and the ECtHR rulings? In this respect, Malta is, at last, falling in line with the convention and its case law. It is easy to be cynical when one speaks of suspects’ rights or prisoners’ rights and to elicit negative sentiments by recalling the plight of the victims of crime. The fact of the matter is that some fundamental human rights, like the right to liberty or the right to freely express oneself, may be curtailed for valid reasons and in a proportionate way; others, like the right not to subjected to inhuman and degrading treatment or punishment or the right to a fair trial, cannot be curtailed. Legal assistance goes to the very heart of the right to a fair trial, a right that must be real and effective, and not theoretical or illusory. 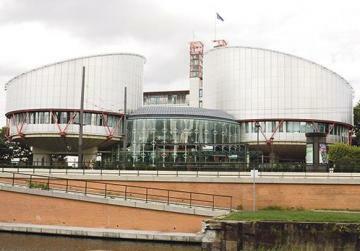 Where, in your opinion, does Malta lag behind on human rights issues? It is difficult to generalise. At the same time, I cannot and will not pre-judge issues. However, I believe that lawyers still have to explore fully the concept of positive obligations. Rather than lagging behind, I would prefer to speak of fine-tuning or improving human rights protection. In April of this year, Malta ratified Protocol No. 12 of the convention, but the substantive provision of this protocol has not yet found its way into the schedule of the European Convention Act. One could, for example, through a dialogue with all the stakeholders, explore the question of the investigation and prosecution of serious crimes, both in the interests of the accused and of victims. In a number of European countries, the investigation of, and the decision to prosecute, serious crime is carried out by a special branch of the judiciary or by an independent prosecution service, not by a police force which is essentially part of the executive branch of government. In those countries where this is not so, there is a robust system of judicial review, as well as independent bodies which supervise the functioning of the police force at various levels. But then again, if such powers were to be given to magistrates or judges, the present complement would be insufficient. • There are currently 47 applications against Malta in the ECtHR. • The first-ever case was filed by Carmel Demicoli, an editor of a newspaper in 1987. • Until 2015, the ECtHR delivered a total of 66 judgments in respect of Malta. • In 46 of these cases, Malta was found to have breached the provisions of the European Convention. • Most of the other cases filed were either inadmissible or are still pending. • The bulk of applications filed against Malta were for breach of the right to the enjoyment of property or breach of the right to liberty. • The Grand Chamber is composed of 17 judges. The chamber has seven judges. There are five sections of the court, and each section provides a chamber of seven judges to deal with cases allocated to that section. Judge De Gaetano is vice-president of Section IV. • Panels of three judges rule on inadmissible cases, and also deliver judgments on the basis of well-established case law (WECL judgments). • The court in single judge formation deals with manifestly inadmissible applications. 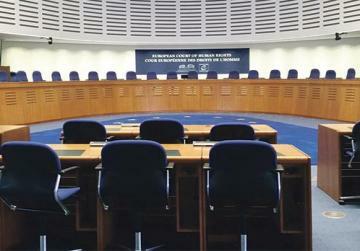 Lawyer Roberta Muscat, the only Maltese who works at the Registry of the ECtHR, said that in 2016, 15 applications against Malta were communicated to the government because “at face value” there seems to be an issue that needs to be addressed or possibly settled amicably out-of-court. A number of other applications were found to be inadmissible. Several of these were so declared by the court in single judge formation because they were filed outside the six-month time window from the judgment handed down by the Maltese Constitutional Court. Others were found to be inadmissible because not all domestic remedies had been exhausted prior to the filing of the application before the ECtHR. “Where the ECtHR finds a violation it provides redress which is usually compensation,” Dr Muscat said, adding that as a rule the judge elected in respect of the country against whom an application is filed is involved in the hearing of the case, in Chamber and Grand Chamber, against that country. However, if for any reason the “national judge” has to step aside, for instance because he or she would have already expressed an opinion on the case in the domestic courts, the ECtHR appoints another judge from a list of ad hoc judges. Malta has three serving (David Scicluna, Abigail Lofaro and Anna Felice) and two retired judges (Geoffrey Valenzia and Lawrence Quintano) on the list. 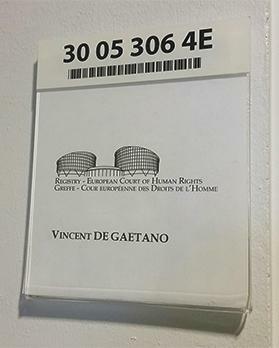 Judge De Gaetano is on the list of ad hoc judges for San Marino. The press visit to Strasbourg was organised by the European Parliament representation in Malta.